4Ft Gigacord Camo Series Charging Only 3 in 1 Cable, iPhone / Micro USB / USB Type-C, w/ Strain Relief, Durable Cloth Braid, Ultra Slim Aluminum Connectors, 1 Year Warrany (Blue Camo) - NWCA Inc. 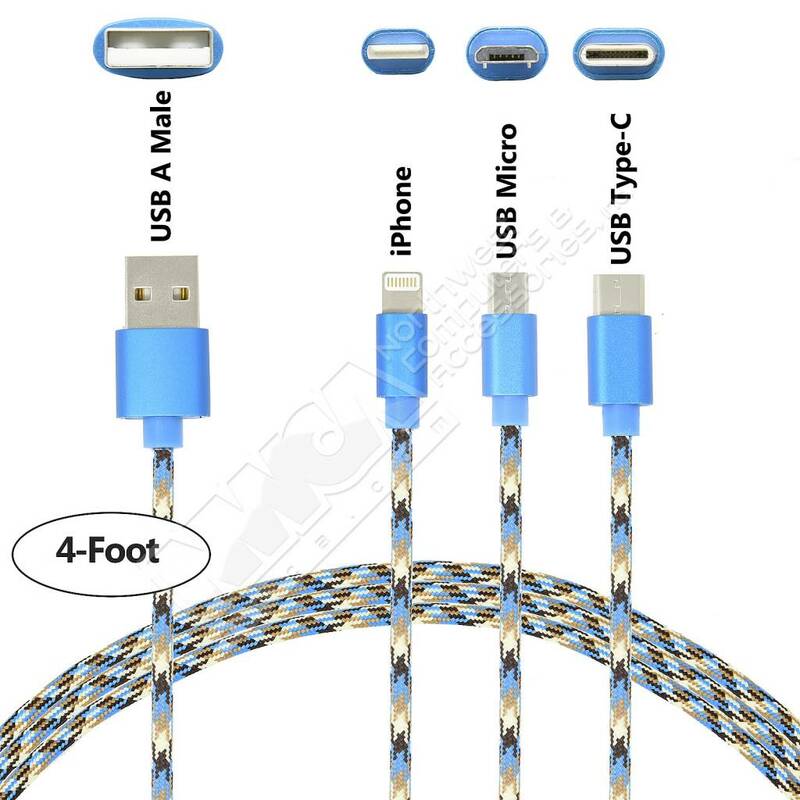 Lightning 8 pin connectivity makes for a variety of compatible Apple devices such as iPhone 7/7 Plus / 6s / 6s Plus / 6 / 6 Plus / 5s / 5c / 5, iPad Air / Air 2, iPad mini / mini 2 / mini 3 / mini 4, iPad (4th generation), iPod nano (7th generation) and iPod touch (5th generation).Micro USB connectivity makes for a variety of compatible devices such as Android / Samsung smartphones, tablets and other various peripherals equipped with a Micro USB connection.USB Type-C connectivity makes for a variety of compatible devices such as MacBook, Chromebook Pixel, Galaxy Note 7, Samsung Galaxy S8, Nokia N1 Tablet, OnePlus 2, Nexus 5X, Nexus 6P, Xiaomi 5, LG G5, Samsung Galaxy TabPro S, HTC 10 and more!The Gigacord Camo Series 3 in 1 cables ensure a lifetime connection for fast, easy, and quick charging capabilites for almost all devices! 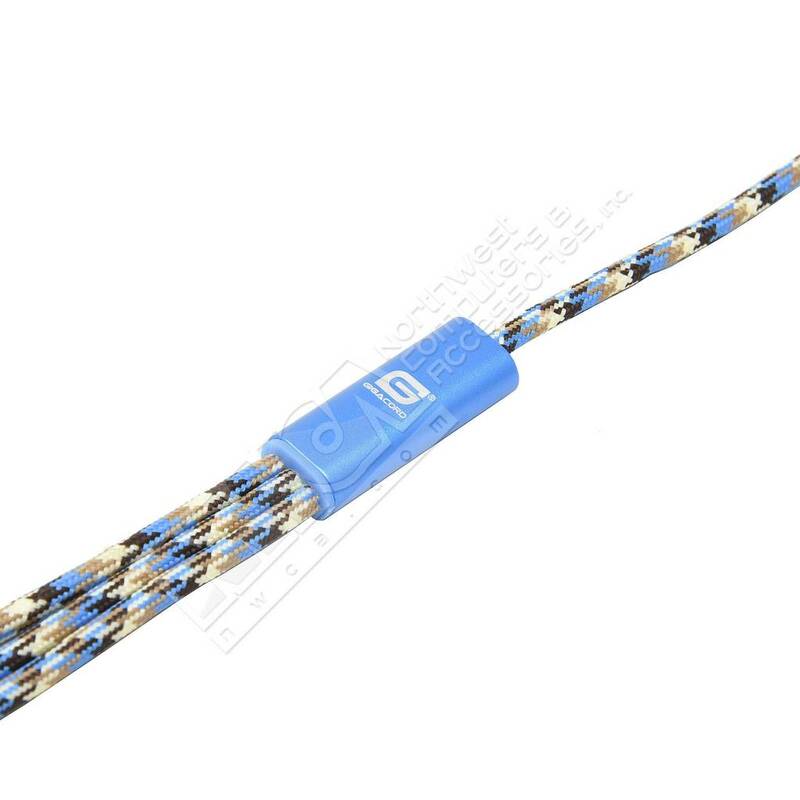 Durable Cloth Camo BraidingSturdy camo cloth braiding guarantees Gigacord Camo Series cables for 1 year enabling over 4000+ bends. This durable cloth braiding is a premium and tangle free design for peace of mind when storing. Ultra Slim Aluminum ConnectorsUltra slim connectors fit cases of all types with ease. Thick cases are no match for our Gigacord Camo Series cables! 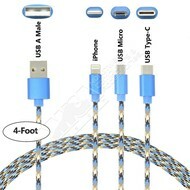 The aluminum construction also provides durability for a solid connection everytime. High-Quality Copper WiringHigh-quality copper wire maximizes signal quality and increases durability. Insulation and a solid PVC outer jacket also provide another layer of protection.